We’ve got a lean and luxurious Low Carb White Fish Pomodoro recipe today that you are going to love! Most of us have a strong reaction to fish. We either love all things seafood and can’t get enough. Or we sneer at the sheer thought of it. Well I’ve got a simple healthy recipe today that will please the fish lovers, and might even turn a few haters over to our side. 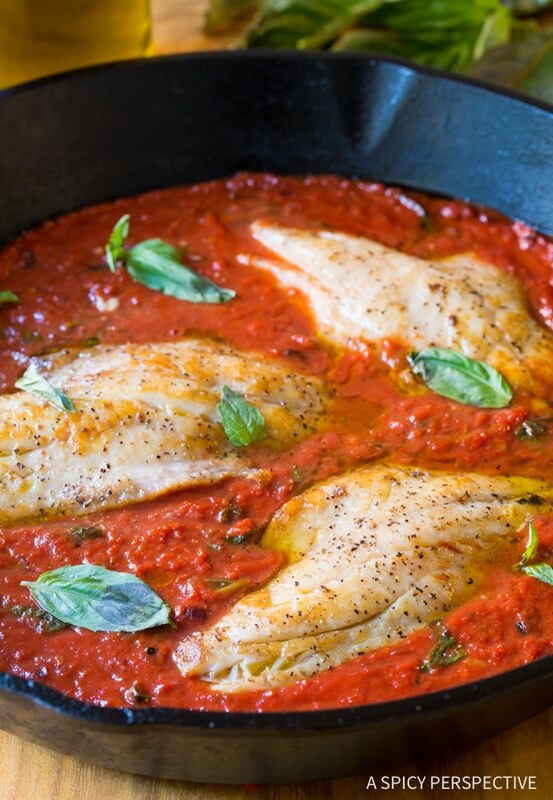 Low Carb White Fish Pomodoro recipe is a quick and easy midweek meal consisting of pan-seared fish and zesty pomodoro sauce. It’s a gluten free, dairy free, low fat, and paleo dinner option with rich Italian appeal! The key to any good fish dish is to be very selective when purchasing your fish. Then prepare it right away. Fresh fish is never stinky. Period. It’s true that some types of fish have a stronger flavor than others, but if it’s fresh it will not smell bad or have a twangy flavor. Make sure to buy wild fresh-caught fish when possible. If you have a hard time finding fresh fish where you live, ask the person behind the seafood counter to get you completely frozen fish fillets from the back. Never (ever) buy the fish that has been thawed and sitting out in the case all day. 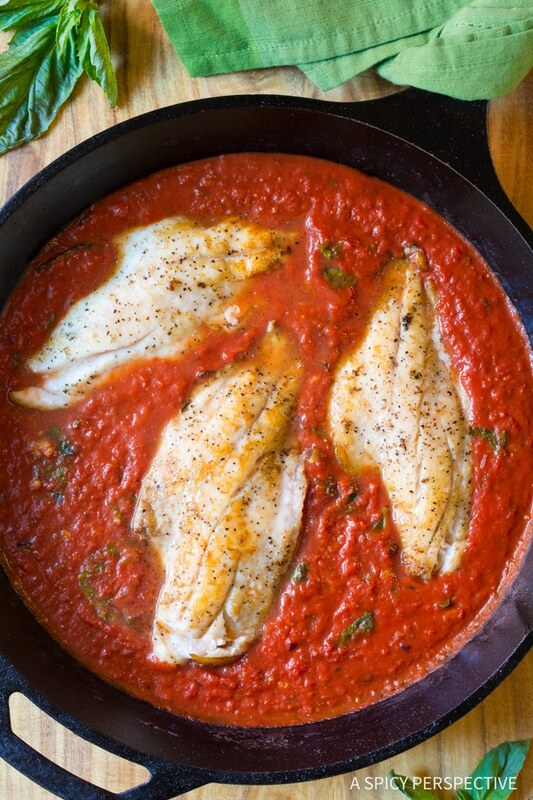 This Low Carb White Fish Pomodoro recipe calls for “white fish” meaning, whatever kind of light flaky white fish you like best! I used grouper fillets in the photos, however it tastes amazing with monkfish and even cod. 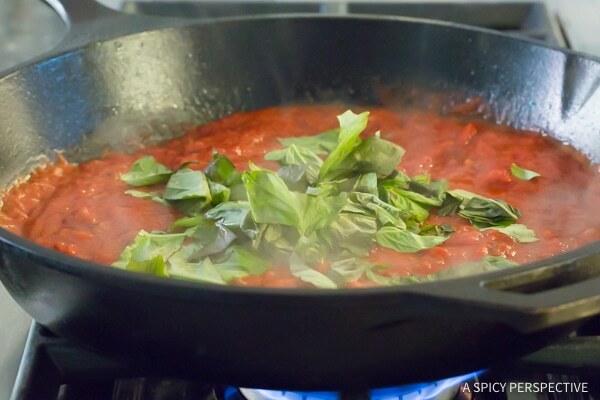 Pomodoro sauce is a quick-made tomato sauce, heavy on the basil. This time of year I like to use canned crushed tomatoes in my pomodoro sauce, but during the summer you can make it with sweet vine-ripened tomatoes! The pomodoro sauce offers a fresh vibrant note and rustic texture to the fish that is unique from most fish recipes. Low Carb White Fish Pomodoro tastes amazing on its own, or pair it with fresh zucchini noodles to round out the meal! 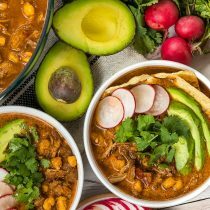 Check out all our low carb and paleo recipes! Low Carb White Fish Pomodoro Recipe. 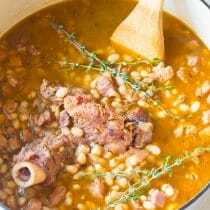 An easy paleo-friendly meal that tastes amazing! Serve as-is or with zucchini noodles. Place a large skillet over medium heat. Add the oil. Salt and pepper the fish fillets on both sides. 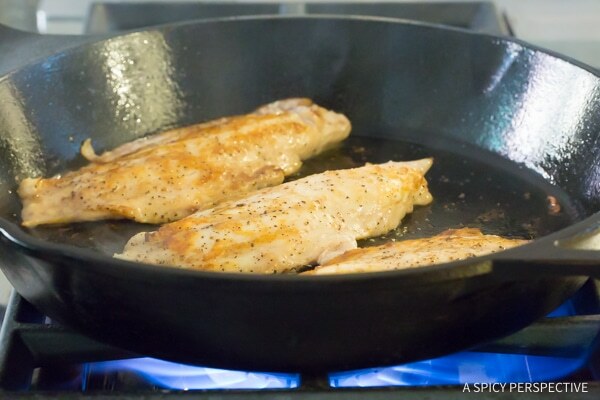 Once the oil is hot, sear the fish fillets until cooked through. 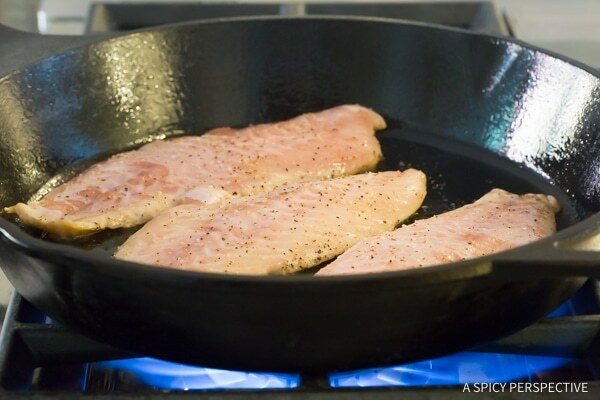 For thin fillets like grouper, cook 2 minutes per side. For thicker fillets like cod, cook 4 minutes per side. Remove from the skillet and set aside. Add the garlic and shallots to the skillet. Saute for 2-3 minutes to soften. Then add in the crushed tomatoes and honey. Stir and simmer for 5 minutes. Taste, and salt and pepper as needed. Stir in the fresh basil and add the fish fillets back to the skillet. Simmer another 1-2 minutes to reheat the fish. Serve warm as-is or with a side of raw zucchini noodles. 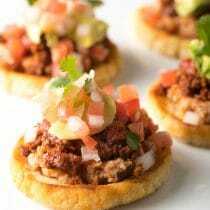 NOTE: During tomato season, make this recipe with fresh tomatoes! Cut an X in the top of 10-12 fresh Roma tomatoes. Blanch them in boiling water for 1 minute. Peel off the skins and chop the tomatoes. 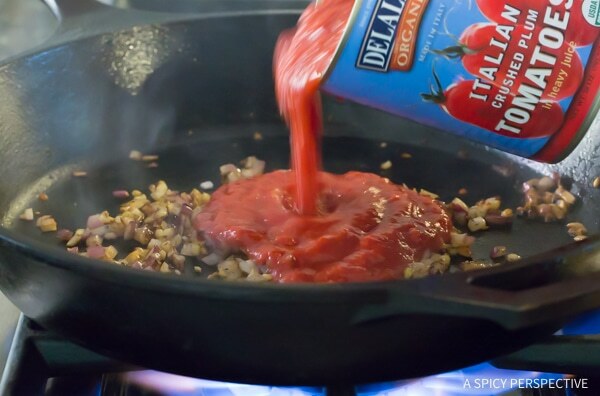 Then substitute the fresh chopped tomatoes for the can of crushed tomatoes. A delicious healthy meal to start my year off right! Great sauce for the fish! 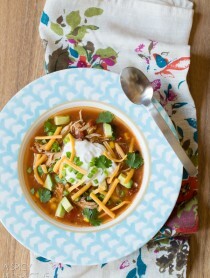 What a perfect easy and healthy dinner! So nice an light, tasty and good! 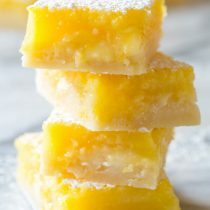 Mmmmmm….I need to make this ASAP! I adore white fish and love the addition of the pomodoro sauce! 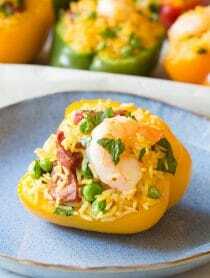 Thank you for the low carb recipes!! I’m loving them!! Would it be OK to poach the fish in the pomodoro sauce? 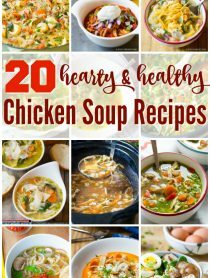 Thank you for all of your great recipes! I really enjoy your web site and blog!